Alexa Darkmore is feared by all. The potent blood running through her veins from a long line of witches has combined with her vampire abilities to produce a terrifying power – the ability to kill with a touch. She never imagined life could be worse than living with such a curse, except living without it. Vulnerable for the first time in her life, she cannot save her people without the help of a champion. But what if the one who can help her is the one man who broke her heart? Brendan Cardon was once human. Before the alien shapeshifters took him. After countless years of experiments, he’s convinced they’ve destroyed everything that made him human. However, when he discovers their plot to expand their activities, he takes a dangerous risk to try to protect the rest of mankind. When Alexa resurfaces in need of a champion, Brendan finds he can’t refuse her. Because for the first time in as long as he can remember, she makes him feel human. With the odds stacked against them, can they learn to trust each other again long enough to save themselves and everyone else they love? Or were they cursed from the very start? Don’t Just Talk Like A Pirate! Be A Pirate and Find the Magic, New Mexico Treasure! Arrrgh! S.E. 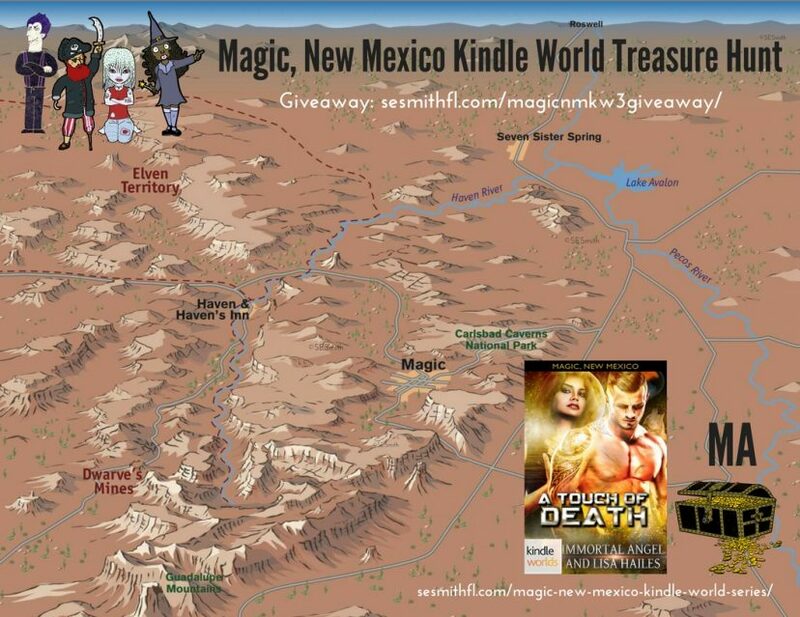 Smith’s Magic, New Mexico Kindle World #3 has released on September 19th which is also “Talk Like a Pirate Day!” Visit each author in the Magic New Mexico Kindle World #3 to find your next clue to the grand prize! Click here or click on the map for all the details on how to play! Good luck everyone! Arrrgh!